See you at Trulli del Bosco! 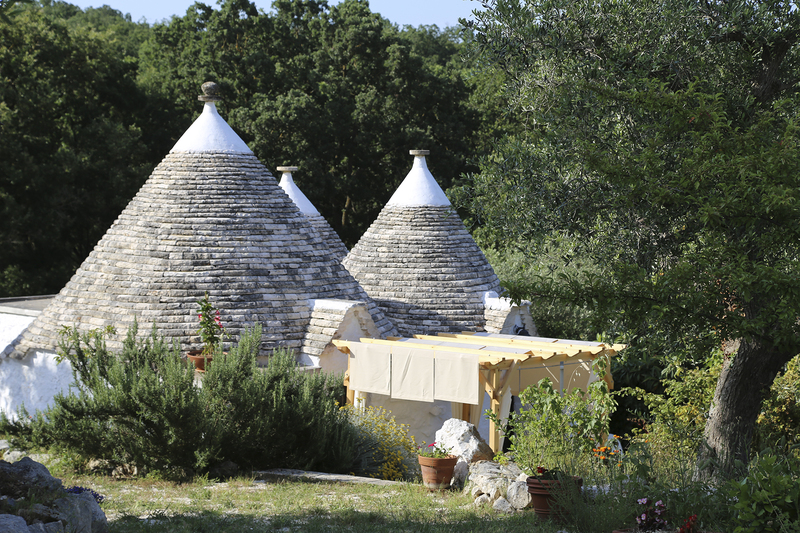 One and a half km far from the town of Alberobello (declared UNESCO world heritage site in 1996), Trulli del Bosco is a magnificent place surrounded by woods and countryside paths under a blue sky. It is a quiet place where you can stop, relax, regain your balance and strengths. 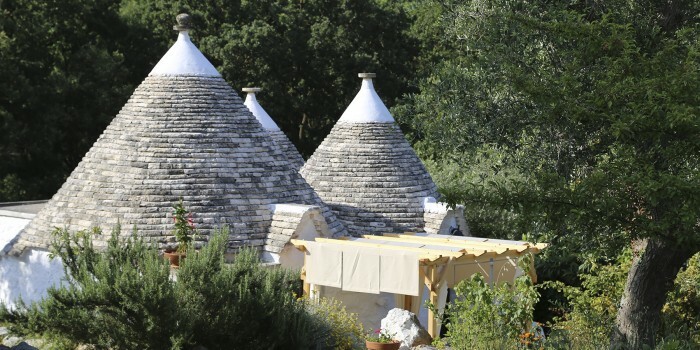 It is a collection of four trulli between two small hills covered in ancient olive trees bordering on an oak wood. The countryside residential area has been inhabited by farmers since XVIII century. It has been fully restored maintaining an high fidelity adherence to its original appearances.